The huge $4000 welcome bonus and the fact All Star Slots welcomes US players is enough to warrant them a place on our top list. All Star Slots Casino is mainly aimed at US players although they do accept players from various countries around the world. 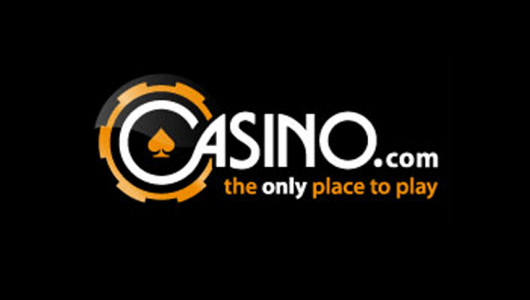 As their name suggests, they have a large range of online slots but they do also provide other casino games including various versions of blackjack, casino war, baccarat, video poker, roulette, sic bo and many more. All star Slots is a favorite among many slots players and their $4000 welcome bonus is very attractive. Read below for more info on the bonus. They are regulated and licenced and regulated by the Kahnawake gaming association which is one of most respected operating licences for online casinos. All Star Slots is a solid choice for all US players and players who love slots. 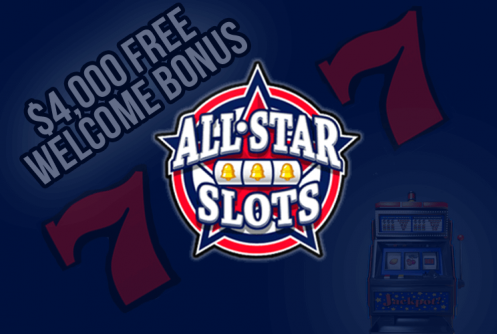 There are two sign up bonuses you can choose from when signing up to All Star Slots. The first one is a 400% match bonus on your first deposit up to a huge $4000 that is available to use on all online slots, keno and scratchcards. The second is for players who like to play other casino games and is a 100% match bonus on your first deposit up to a maximum of $1000. This bonus can be used on all games excluding Baccarat, Craps, Roulette and Sic Bo. The wagering requirements are the same for both sign up bonuses and is 30 x the deposit and bonus. To claim either bonus you must enter the corresponding All Star Slots Coupon Code when making your first deposit. To enter the coupon code and claim your bonus simply sign up, click on ‘Cashier’, click on ‘Redeem Coupon’ then enter the coupon code and confirm your deposit. As well as the initial sign up bonuses there are also daily bonuses that are available to new and existing customers. All the daily bonuses are available to view via the promotions page on the All Star Slots main website. Daily bonuses include 75% unlimited bonuses to use on all slots, 25% cashback on all losses and free $20 chips to name a few. All the daily bonuses require you to enter a coupon code when you make a deposit so it is worth checking out the promotions page before you make a deposit to see if there is a bonuses that day that you are interested in. The slots and games at All Star Slots are powered by Real Time Gaming. One of the most popular gaming software providers. The graphics are great and we have experienced no problems in loading times or stream quality of the games. There are over 80 online slots to choose from including 3,5 & 6 reel slots, bonus round slots and progressive slots with huge jackpots. 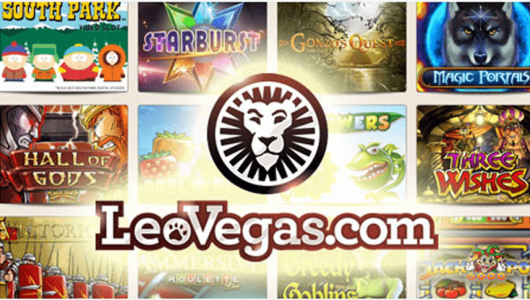 Along with the range of online slots there are also a host of other games to choose from such as blackjack, roulette, video poker, war, let em’ ride and a range of speciality games like multiplayer roulette, keno and craps. Contact with a member of the All Star Slots support team can be made via email, phone or live chat. We recommend the live chat feature which gets you connected to a representative quickly to answer your questions. From our support team tests a reply to our email was received in 10 hours and we waited 17 seconds to be connected to a team member via live chat. Both the email response and live chat representative answered our bonus-related question politely and efficiently. Banking shouldn’t be a problem for many at All Star Slots as they have a range of deposit and withdrawal methods available. Deposit options include Visa, Mastercard, EcoPayz, NETeller & Skrill (Moneybookers) and you can withdraw funds using Visa, Mastercard, Bank Transfer, EcoPayz, Skrill (Moneybookers), NETeller, Wire Transfer or Cheque. All deposits are instant as are withdrawals via EcoPays, Skrill and Neteller. All other withdrawal methods take roughly 4-5 days.